The carriage clock is portable and compact with an attractive appearance. The majority of carriage clocks would have been 19th century and generally French, some carriage clocks are even still made to this day, however they are not quite as well made as many of the antiques. Some horologists consider the coach watch, a very large watch usually of outstanding design and workmanship and often incorporating repeating work sounding on bells to be the first carriage clock. However the invention of the true carriage clock was by Abraham-Louis Breguet. 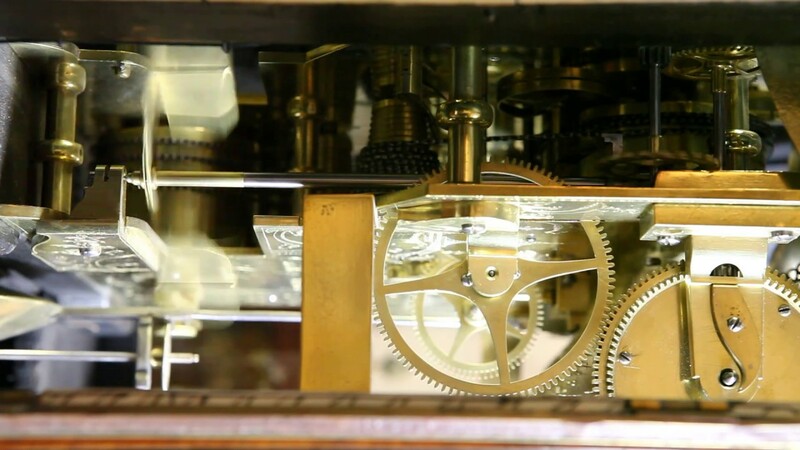 The carriage clock consists of a gilt-brass case with the sides and the top panelled of glass or porcelain, hinged carrying handle and the movement has a separate platform escapement. It is often found with alarm and repeating mechanisms, and on the odd occasion with Grande-sonneriestriking – (Quarter striking, in which the hour last struck is also repeated at each quarter). American carriage clocks had two distinguishing features: they were gaudy and cheap. The heyday of their mass production was 1880-1914. The majority were one-day only with pin-pallet escapements as timepieces or with alarm at slightly extra cost. Some were arranged for repeating strike, including half hour and a few were eight-day duration. Countless varieties were mass-produced by the Waterbury Clock Co., Ansonia Clock Co., Seth Thomas Clock Co. and E. N. Welch Manufacturing Co. The essential design was based on the French style of glass sides enclosed in a brass frame with a handle at the top. American models had practically no hand finishing, being mass-produced from stampings or pressings with gunmetal, gilded, or nickel-plate finishes. For the most part these were novelty clocks, to be thrown away rather than repaired. A few high quality models were produced by the Boston Clock Co., Chelsea Clock Co. and the Vermont Clock Co. If you would like to see all of our Carriage Clocks and more, visit our showroom.